Going into this year’s EA conference, many were hopeful that we would see more of Star Wars: Battlefront (after its brief tease at last year’s show) as well as finally seeing a new Mass Effect announced. Both were shown during the conference, though in a slightly disappointing fashion. 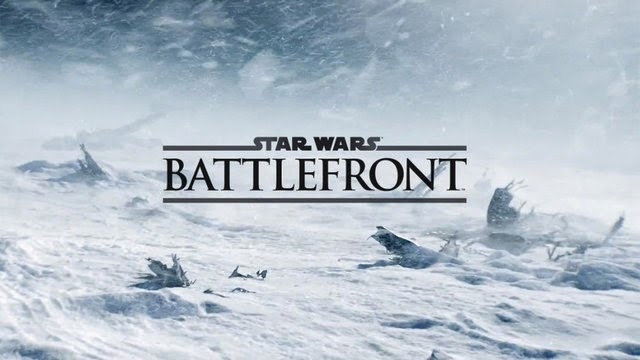 Star Wars: Battlefront ended up opening the show to the delight of those watching, with a behind the scenes trailer showing the designers at the original trilogy’s filming locations. Snippets of early in-engine footage was shown and while it was (once again) brief, it all looked absolutely terrific. We were treated to three different Dragon Age: Inquisition videos, with the first showing off the ridiculously detailed environments. The short second video showed gameplay as the Inquisition did battle with a dragon, which from a gameplay standpoint had more similarities to Dragon Age: Origins then Dragon Age 2. The third and final video was a trailer showing 4 of the inquisition characters, with the The Iron Bull, a Qunari mercenary looking particularly awesome. Another behind the scenes video was shown, this time looking at the development of the next Mass Effect, by showing conceptual prototype footage of characters and environments. While what was shown looked good, it was hard to not feel disappointed at there not being more of the game shown. A new Bioware IP was briefly mentioned, though no information was given regarding it. The Sims 4 focused heavily on the heart and emotions of each sim, along with how they interact with each other. As entertaining as it was, it just didn’t feel like anything truly new from the Sims franchise. EA Sports’ first appearance at this year’s conference began with a quick look at EA Sports UFC. The emphasis was on the inclusion of Bruce Lee, who they showed fighting BJ Penn and all in all the game looked very solid and detailed. The first gameplay trailer of NHL 15 was shown, which graphically looked as good as you would expect from an EA Sports title. When Criterion Games were set to appear next, the safe bet would have been on them showing a new Need for Speed. Surprisingly, it was revealed that they are in fact working on a game with a ridiculous amount of different vehicles in it. With every vehicle controlled from a first person perspective, the video shown hinted at using parachutes, ATV’s, helicopters, boats, wing suits, planes and a whole lot more. It’s a really interesting route for Criterion Games to take, and I’m hopeful they are able to deliver. EA Sports PGA Tour had a quick video shown, showing off the game’s “golf without limits” tagline where a freaking battleship was shown as part of a course. Madden 15 looked primarily at the defensive side of the game, and how it has been redesigned along with improved presentation and camera work. Pretty much what you would expect from Madden. A MOBA titled Dawngate, was shown with a variety of unique playable characters, however it didn’t look like it offered anything that will help it to stand out among other games in its genre. After it’s reveal last year, many were looking forward to hearing more about the return of Mirror’s Edge. The behind the scenes video shown looked at the game’s concept art, along with showing prototypes of Faith running around basic areas. After waiting a year to hear more about the game, what was shown did come off a tad disappointing however the early prototypes looked great, with Faith’s movements looking smoother than ever. The features mentioned for FIFA 15, included player memories and emotion, improved ball physics, player agility, enhanced visuals and atmosphere and a pitch that can now be physically affected during the game with grass and mud being visibly altered. The same usual from FIFA really, just improving upon aspects of the previous year’s game. To close the show, gameplay of Battlefield: Hardline was shown. It was hard not to think of the epic shootout from Michael Mann’s Heat while the game was shown, as it played out as cops vs. criminals in a cross city chase. In usual battlefield style, the gameplay looked very intense and exciting whilst seeming like a nice change from the military firefights we are used to. Ending the show on a positive note, it was announced that a Battlefield: Hardline beta would be going live immediately. Overall EA’s conference was much like last years; weak due to a lack of gameplay or announcements. Battlefront looked amazing from its oh-so-short appearance, Battlefield Hardline brought the action and Dragon Age: Inquisition continues to look great, but other than those, it was hard to take much away from the conference. While it was okay seeing a bit of Mass Effect and Mirrors Edge, the behind the scenes videos were really disappointing as I personally think Mass Effect would have benefitted more from some sort of trailer to announce the new game, where as Mirrors Edge could have used more gameplay especially as we have had to wait a year to hear more about it. The sports titles came and did the same as usual, not showing much gameplay and instead talking about what the focus of each game is this year. We just have to face facts, this type of conference has become the norm for EA. However on the bright side, there are some nice looking titles in EA’s future.